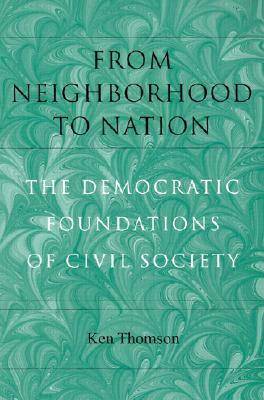 From Neighborhood to Nation takes on a key issue in the debate over expanding the civic culture, namely how neighborhood-based systems of local participation and governance can contribute to building a civil society that has meaning and positive impact beyond the local community. Advocates have long called for greater reliance on local participatory processes for improving the quality of civil society and governance, while critics maintain that neighborhood-based mechanisms promote parochialism and the politics of exclusion. Intensive research in four urban neighborhoods -- Birmingham AL, Dayton OH, Portland OR, and St. Paul MN -- enables Ken Thomson to provide the first meaningful and quantified response to these abstract civic culture questions. He develops scales to measure the extent of neighborhood organization and effectiveness in the political process, thereby focusing the debate on three essential components: deliberations and decisions of the core grassroots groups, their outreach to all citizens in their area, and their relationship to the political process.